Welcome to the district of Bradford, where fresh air and natural beauty will invigorate you, whilst the heritage and culture will fascinate you. Bradford hosts two UNESCO sites, two moorlands alongside a city full with a rich and varied mixture of cultures and languages. 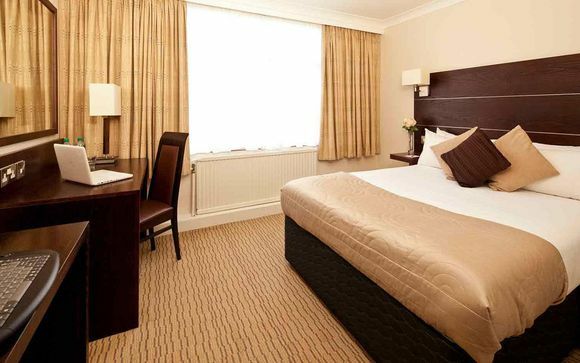 The Hotel is ideally located just two miles from Bingley Railway Station. One of the oldest literary societies in the world, founded in 1893. The Bronte Society is a charity responsible for running the famous museum in the picturesque village of Haworth in West Yorkshire. The collections at the museum are the largest and most important in the world – continuing to inspire scholars, writers and artists. 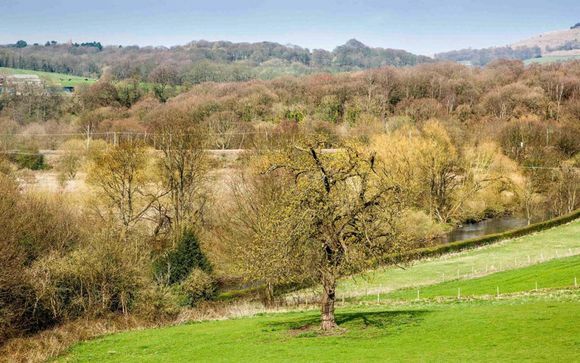 A major river in Yorkshire that follows a twisting route through hidden corners. From the remote reaches of the Yorkshire Dales, the River Aire passes through the historic market town of Skipton and the fascinating Victorian textiles village of Saltaire, with its well-preserved wool mill, alms-houses and churches. The picturesque town of Ilkley is situated in the Wharfe Valley at the southern end of the Yorkshire Dales. The former spa town rose to fame in the Nineteenth Century when thousands visited for the fresh air and first class hotels. The town is still renowned for its air, moorland and beautiful countryside. Here, visitors will find excellent walking sites and one of the largest cycling clubs in the country. Set in 8 acres of private grounds with views over the Aire Valley, the Mercure Bradford Bankfield Hotel offers comfortable, modern and high-standard accommodation.The Brasserie serves a tempting selection of Bistro and regional dishes, whilst the Bar is a great spot to grab a refreshing beverage. The Classic Room features a flat-screen TV and complimentary high speed Wi-Fi. These rooms are equipped with one double bed, en-suite bathroom, hairdryer and tea/coffee making facilities. The Classic Room also offers a direct-dial telephone, toiletries and a full length mirror for guests. All guests can enjoy a daily Full English breakfast. Just for you: complimentary dinner on the first night and Afternoon Tea for two. Soak up the atmosphere in the elegantly styled restaurant and enjoy inspiring views over the surrounding area. Choose from a wide collection of delicious dishes prepared using fresh ingredients and locally sourced produce. To complement your meal, choose from our selection of fine wines – there is something to suit every palate. Finally, indulge in a delightful dessert before sitting back, relaxing and allowing the highly experienced restaurant team to provide you with everything you need. A variety of snacks, meals and drinks are available at the Bar all day from 10.00am. M62 (sign-posted Bradford) junction 26 joining the M606 and follow to the end. At the next roundabout, turn right following the signs for the A650 Skipton/Keighley. At the roundabout, go straight over. Turn left at the next roundabout .Continue on the A650 until you approach a T-junction and turn left towards Shipley and Bingley. At the next T-junction turn right. The Hotel is located on the right-hand side.